Superb opportunity for an enthusiastic, dynamic person to join our team in July. Looking to do something truly meaningful with your Summer? Ready to take on new challenges, explore new things, and work hard, all while having the time of your life? If you hunger for adventure, work tirelessly, and are passionate about helping kids, then we are looking for you to join our Summer family at CBS. If you’re passionate about changing the world and positively impacting a child’s life, aren’t afraid of hard work, and want a job that is fun, exciting and energising then there’s no better way to spend your summer than working as a monitor at CBS Summer Camp. At CBS Summer Camp the emphasis is on the individual achievement and personal growth of each camper. Campers enjoy an unforgettable experience and take home more than they expected: new friendships, fond memories to last a lifetime, and the feeling of independence. CBS Summer Camp is a truly special place where campers grow both emotionally and physically in a warm and nurturing environment. This is due to the dedication and commitment of each one of our staff members. We believe in providing a safe, natural, happy, secure environment where kids can be kids. We believe hiring and training a mature, caring, fun loving staff is the key element in helping us achieve this goal each summer. We believe in providing a structured program for children that emphasises a feeling of family, friendship and belonging and encourages active participation in a variety of experiences. We believe CBS Summer camp should be a positive learning and growing experience for everyone involved. Applicants must be at least 18. To be considered for employment applicants must be available to work from the 1st – 20th July. Those who live outside of our interviewing area are required to attend a skype interview. We are committed to safeguarding children and as such, this post is subject to advanced CRB clearance prior to appointment. 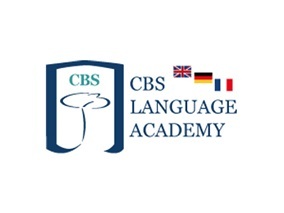 Learn more about CBS Summer Camp. If interested and available. Please send CV to info@cbssummercamp.eu.